Yes, you read the title of this post correctly. I made a gin and tonic with cantaloupe…and I liked it! 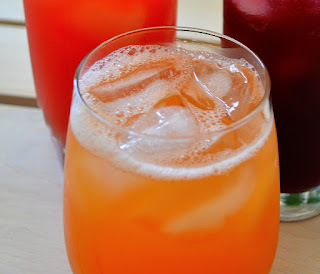 The key is to first make a cantaloupe agua fresca. 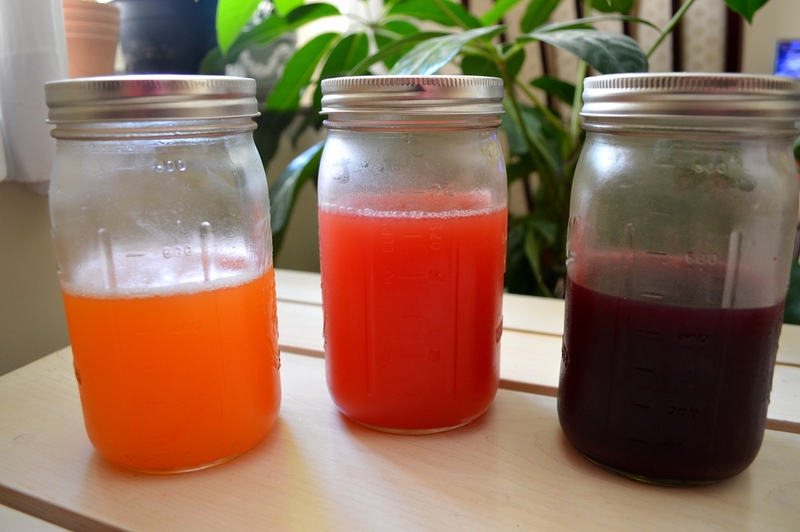 As I wrote in a recent Topeka Capital-Journal article, agua fresca, which in Spanish means “fresh water,” is a popular beverage in Mexico, Central America, and the Caribbean. This cool, refreshing drink can be made with a variety of fruits, and is relatively healthy since it contains very little added sugar. The most common fruit selections are cantaloupe, watermelon, strawberry, papaya, guava, honeydew melon, and mango. However, I also saw recipes online for blueberry, orange, and even cucumber versions. A few added chi seeds, hibiscus tea, chilies, ginger and herbs, such as mint and basil. I made up batches of cantaloupe, watermelon, and blueberry agua fresca. One important thing to remember is the drink is only as good as the fruit you use. I know from experience. Once I whizzed-up a batch with a bland-tasting watermelon that no amount of lime or sugar could help. 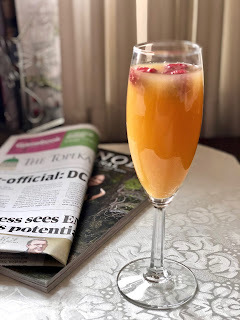 So make sure to use fresh, ripe and flavorful fruit when making this beverage. 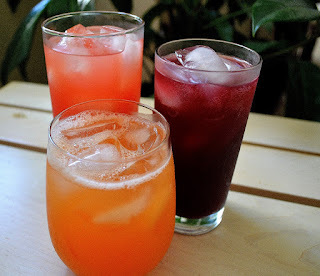 Though agua fresca is traditionally a non-alcoholic drink, I wanted to play around with it as a cocktail mixer. Tequila, vodka, rum and gin blend well with the fruity beverage. You could also try some of the flavored vodkas and rums available. 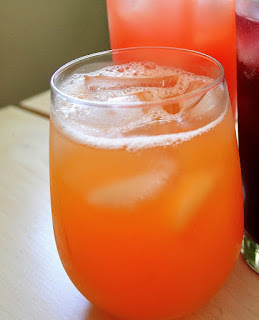 Since my traditional cocktail of choice is a gin and tonic, I decided to add some cantaloupe agua fresca to the mix. It was tasty! The sweetness of the fruit balanced the sharpness of the tonic and the juniper flavors of the gin. Before the heat of summer passes and fruits go out of season, make up your favorite flavor of agua fresca. (I like to keep it in Mason jars in the fridge until needed.) Then have fun creating your own fruity cocktail. (FYI: A blueberry mojito is also delicious.) Just be sure to try the cantaloupe gin and tonic. You won’t be sorry! In a cocktail glass filled with ice, add the gin, cantaloupe agua fresca, and tonic water. Stir until combined. Place the fruit, water, lime juice and sugar into a blender or food processor. Whiz until the mixture is smooth. Strain the mixture through a fine-mesh strainer over a bowl until all of the liquid drains through. Pour the strained liquid into a quart-sized Mason jar or pitcher. Store in the refrigerator. To serve, pour the liquid into a pitcher and add your choice of the remaining water, club soda, seltzer water, or tonic water. Pour into ice-filled glasses and serve. 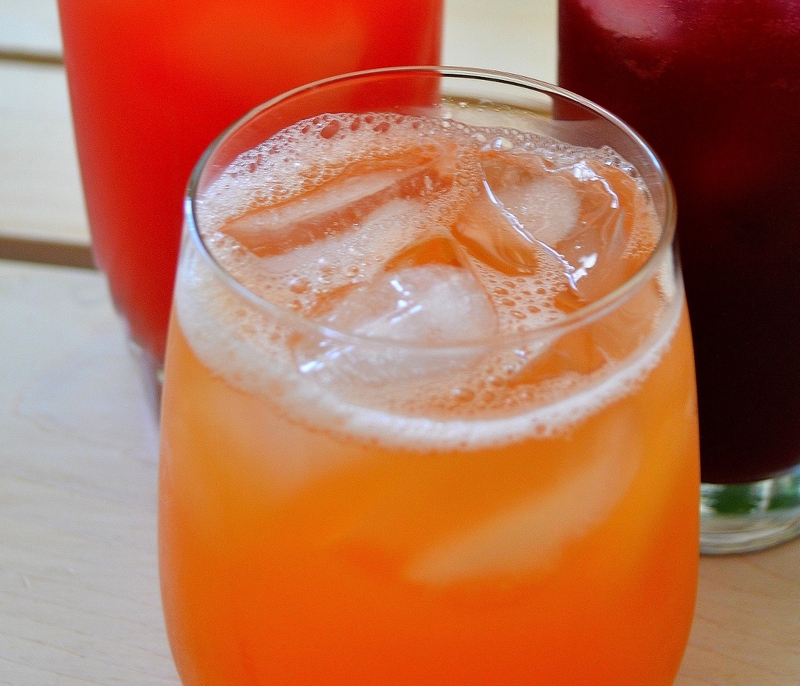 To make individual servings, pour the basic mixture into ice-filled glasses to just 2/3 full. Top off the glasses with water, club soda, seltzer water, or tonic water, and serve. I'm saving this for a cocktail night I'm going to on Saturday. I know the girls are going to love this special G&T, Linda. Hester, you'll have to let me know what everyone thinks of the drink!